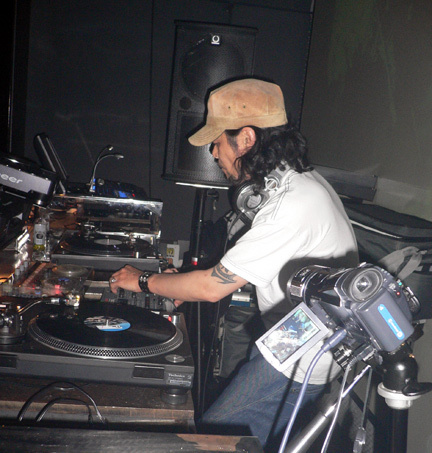 Last night Japan’s D.J. Krush made an appearance in H.K. I’ve been hearing about this guy for at least ten years, and I was excited to check him out live. Krush just came out with a new album, so he must be touring to promote it. I got to the club about 30 minutes after he started. The place was crowded, and the turnout of Krush fans was large. 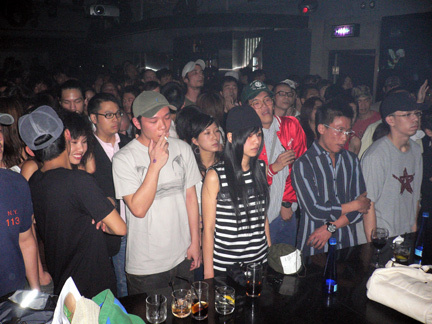 Members of the club, Volar, got free entry, others had to pay $250 HKD (about $32 USD) to get in. Normally, the better clubs in Hong Kong don’t charge for entry, except on nights with special guest d.j.s. On regular nights, door policies vary, and some require some sort of “membership” to get in. Dragon-i and Volar are the top two clubs at bringing international d.j.s. If you’re a club regular however, even on special d.j. nights, you will get in free. Getting back to the music, Krush played exactly as I expected: sophisticated, experimental – yet soulful Hip Hop. His turntable skills were sharp. The crowd was trying to groove, however some of the songs were just not meant for dancing. At several points he brought them back with some uptempo, soulful beats. It was fun to hear a d.j. who has a particular, distinct sound do his thing. He didn’t try to win everyone over, or compromise his music. The photo below shows fans crushing the stage to get a look. 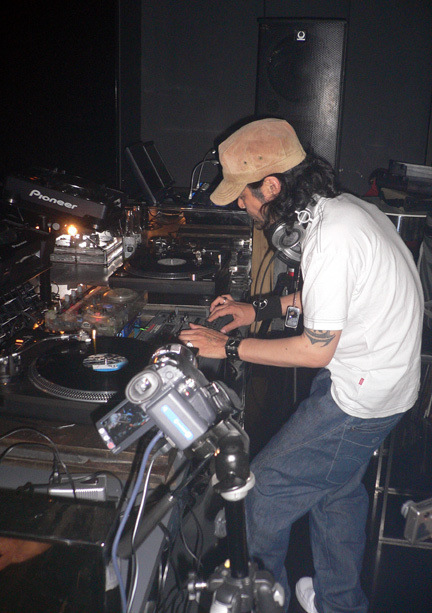 Here’s Krush in the mix – note that he was playing records! 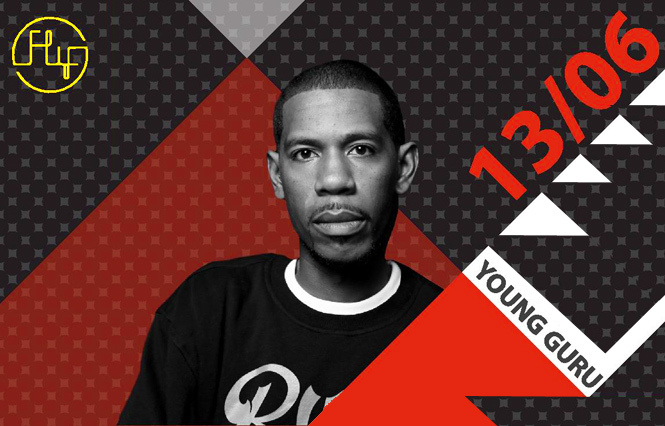 Young Guru at FLY – Friday!